Cables which comply with this standard, are made from halogen-free and flame-retardant sheath material. In case of fire, this guarantees a lower smoke development and is thus a regulation for permanent installation in inner rooms and buildings. 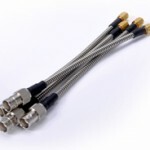 Most of the coaxial cables and lines listed here, are available from stock in large quantities. We also offer an individual procurement service. The flexible hose or flexible tube, is a safe to walk on hose made of polyamide P6. 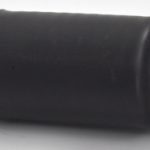 With this kind of protection it is possible to bundle several lines in a tube and protect them from external influences. PTFE Polytetrafluoroethylene, also known by the brand name Teflon®, dissolvent and temperature resistant up to 260°C, best electrical properties, but high material costs. PTFE is a hard material and is used as dielectric and as cable sheath.